Do you want to start a blog? Are you confused about choosing an idea for your blog? What is a niche? How can you decide on the perfect niche for your website? All these are important questions you might be asking, and you should, because when you decide on a niche, it would in turn influence your domain name. It would nearly be impossible to reverse later, so take your time to decide during the planning stage. Choosing a niche and adding something extra helps one compete with the over saturated online markets. The online and offline world aren't too far apart. Your hands-on skills or talent in the real world can also make you money in the online world. From day one, you need to have decided on the niche for your blog. If not, you will focus on multiple things at the same time, which is not good if you want to build a profitable website. The success or failure of your new blog can very much be determined by your chosen niche. Your decision at the end of the day should be one that is comparatively easy for you to manage and grow readership. If you are thinking about starting a blog about your life. Please only embark on this if you have an interesting life to write about. I say this because in the long run, the rate at which you publish something new will decline. Think ahead, write about something that you still see yourself doing long-term. A niche is a particular status or activity that a person is knowledgeable about or best fitted in. Finding a niche for your website simply means "choosing a category" that your website would be based in. 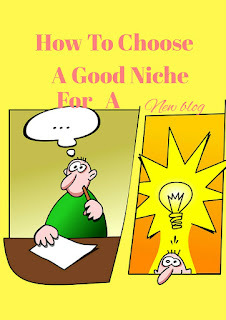 I will say a good niche is any blog idea that works for you, related to what you like, can be profitable, should have long term value and accompanied with good traffic. Considering the list above, there are many subcategories you can choose to focus on. The more specific, the better. Prediction pieces. Prediction follow-up pieces. The niche that works for someone else may not necessary work for you. Having the right mindset is key to selecting a good niche. 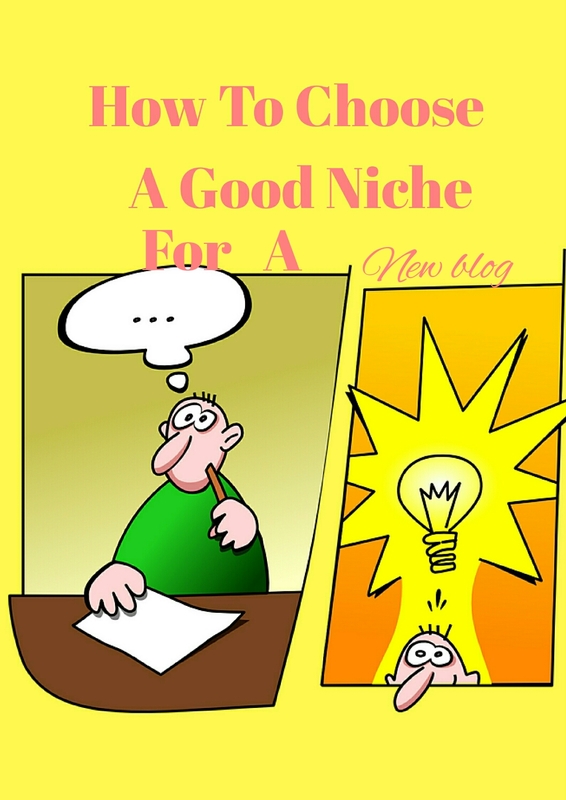 Don't choose a niche just because its popular, not all popular niches are profitable. Don't choose a niche that is tough for you to write about. Don't choose a niche based on people's opinion. Don't start a blog on a niche just to make money. This is the single most important point when choosing a niche. What are you passionate about, what are you interested in. Now get your book and pen (or any online notepad), start brainstorming on your possible interests, hobbies, knowledge or skill. Don't start sorting just yet, get your list ready first. After you have written out this list, things would become clearer to you. Therefore, you can target a possible niche based on those ideas. If you like making stuffs or good at simulating using any software, don't wait any longer. Setup a tutorial website and help people by doing what you love. You have written out your interests, now research more about other websites that write about some of your interests. Is there something that they are missing or did not included in their contents. Do you see yourself writing on such contents? When you search online, what do you always look for, E! news? Hollywood? Music? Telephone reviews? Are they topics that you particularly enjoy reading about. That may just be your niche, because if enjoy reading about something, it is would be easier for you to research more and write on it easily. Evaluate the competition strategically to know the best way to approach the market. The niche topic you decide on should be timeless. There are some topics that 50 years from now people will still be searching for. Some topics like health, technology, weight loss tips, current events all these are evergreen topics with large popularity. So, when selecting a niche based on your interests, look for its long-term potential. You can use Google trends to find out what topics trend most in your country or globally. Okay, after going through some of these points. Your present list of topics should now be streamlined. Now why should people listen to what you have to say. Is it something that happened in the past you will like to share - bad experiences, past projects, your creativity and so on. Your Niche Topic may be about "Being a mum", " Gardening tips", "event planning strategies", " science" , "business tips", " DYI tutorials" and so on. Do you want to sell things. Start your very own niche ecommerce site. There is no limit to the kind of products you can sell online, from digital products to full on ship delivery products. Checklist in after deciding on a niche. * What's the reason behind my decision? * Do I know much about it? * Do I have passion for it? * Would it help people? * Would it provide answers or solutions to a problem? * Is there any demand for my products or services? Now take your blog as your daily project that has long term benefits. And remember your niche topic should be what you love and you should have the right mindset, that is the only way not to fail at blogging. Take note: Whether you are looking to start a personal blog or promote a cause. A quality blog with quality content should be what you seek. So, aspire towards that. Related; Important points you must note before starting a website. Hope this will help you achieve that. So you got the right niche. Just kidding :) Very helpful info on a very confusing topic for beginners! Learnt it myself hard way burning my fingers a a couple of times. Thanks for sharing, Yaya. Good luck! Thanks Bhanu, Love your humor :) . A person may find out they have more than one niche and that's okay. Choose the best one starting out and branch out to the others later on. I have a engineering and science niche as well. But yeah! i enjoy writing blogging tips too. I have websites for my two niches. And yes i also learnt the hard way myself, starting out is rough for everyone. Just trying to help beginners in my little way by providing useful contents. Thank you, Yaya! Absolutely agree with you. Wisdom dawns after passing through the dark city of experience. No choice! Thanks Bhanu, you do have a way with words. Great information. It's so tough choosing a niche. I've been dabbling in so many, trying to find the perfect one to really focus in on. I just love writing about everything! Haha. Thanks for sharing your wisdom. Thanks Jordan. But don't you think writing about "everything" is a bit much for you alone. There has to be something you like writing about more, how about focusing on that. informative article .. i think i chose very gud niche .. you also talking about Health niche ..
i am very happy after reading your article .. Thank you for this great and in-depth post! Definantely recommend this post for all new bloggers and all those who have a hard time trying to find or define their niche. Thanks Lisa, I'm happy you found your niche. Good luck. When it comes to monetizing a site, Niche sites are always favored more. You say you have many interests, but i can bet some of your interests are related one way or the other. Do you know with just one blog idea you can write over a 100k related topics. The world is changing and new things come up everyday, so there is always something new and interesting to write. And also if you truly write about your favorite interest, you can never get bored. Goodluck Nadine. Great read, enjoyed reading the post. Good information! Thanks for sharing!